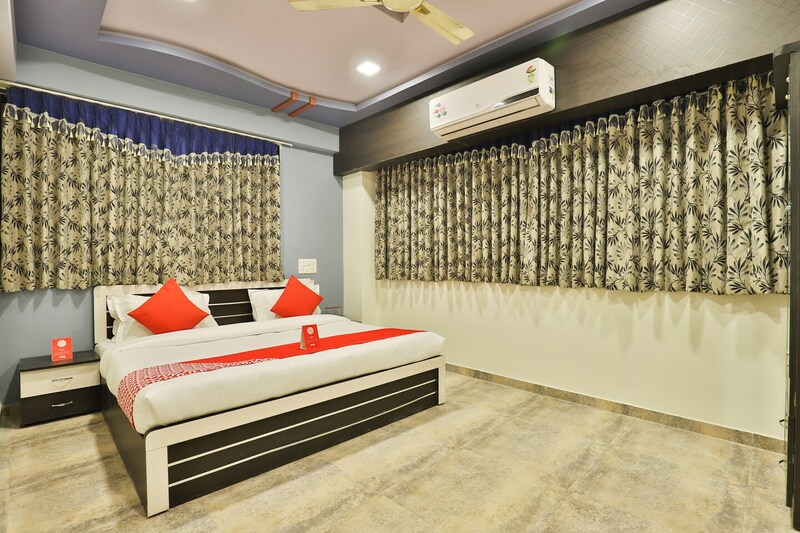 Hotel Shekhawat Palace is quite popular among travelers visiting Ahmedabad due to its convenient location as it is located within close proximity to a number of landmarks. The hotel is located on the Shree Balaji Road. The rooms provided here are quite comfortable and are available at reasonable prices. The rooms are decorated in a minimalist manner. All rooms are well-furnished and have been provided with large windows which are present throughout the premises of the room. The windows are covered with thick and beautiful curtains with intricate patterns. The additional facilities provided by the hotel are free Wifi, laundry provisions, parking facilities, and CCTV cameras. The front desk service is decorated elegantly and is surrounded by a well-furnished reception. The front desk is manned by experienced staff. The hotel is surrounded by a number of restaurants such as Aroma Food Junction, Dum Ka Zaika- Narayani Heights, and Narmada - The Ummed.